Majid Al Futtaim, the leading shopping mall, retail and leisure pioneer across the Middle East and North Africa, announces the completion of its ambitious redevelopment project for its flagship Mall of the Emirates: Evolution 2015. On September 28, the iconic lifestyle destination will reveal a new 36,000 sqm retail extension that will set heightened standards of design, introduce new experiences, and pave the way to 40 new shopping, dining and entertainment outlets including world-class retail anchors making their debut in the Middle East. “Innovation is integral within Majid Al Futtaim as we live by the company’s vision to create great moments for everyone, everyday. By re-shaping Mall of the Emirates with Evolution 2015, we continue to evolve and enjoy a competitive edge and leadership position as the Middle East’s leading luxury and lifestyle destination. Evolution 2015 also coincides with Mall of the Emirates 10th year anniversary, marking a legacy that changed the landscape of the region’s retail industry,” says Michael Cesarz, CEO – Shopping Malls Business Unit – Majid Al Futtaim Properties. Setting new standards of shopping excellence in the region, Evolution 2015 is a multi-phased project, which involved several enhancements and additions. Phase 1 was completed in 2014 with the unveiling of the Fashion District – an AED 100 million new precinct that has introduced some first-time boutique brands to the UAE. The beginning of Phase 2 marks the addition of a new taxi rank located next to Ski Dubai, at Welcome Court 4, which represented a total investment of AED 10 million. In addition, Mall of the Emirates increased its car park capacity by building a newly-opened parking deck with roof-top shade on Level 4, creating 1,300 new spots. Once opened, the completion of Mall of the Emirates’ transformation will welcome shoppers to see a fresh new quarter of the region’s best-loved shopping destination. With Evolution 2015, Mall of the Emirates is demonstrating its commitment to redefining the shopping experience through further investment and development in luxury and fashion, sports and leisure, and dining destinations. 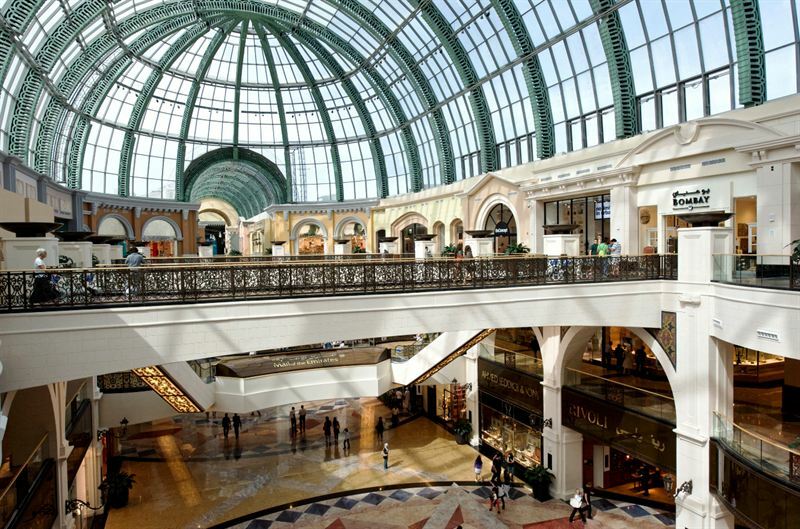 From being the region’s first shopping resort when it opened in 2005, Mall of the Emirates has become a leading shopping, leisure and entertainment destination.